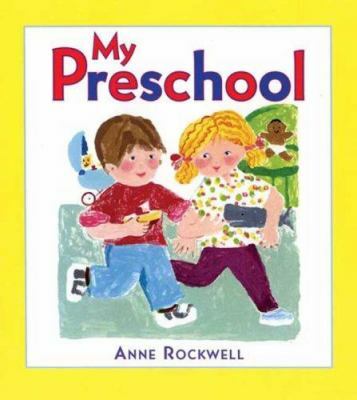 My Preschool, by Anne Rockwell. This book follows a little boy at preschool as he moves from saying hello to friends in circle time, to painting pictures, and to helping in class by passing out snacks. 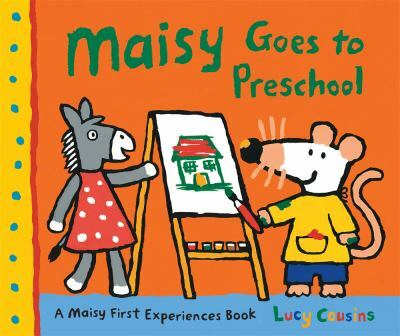 Maisy Goes to Preschool, by Lucy Cousins. 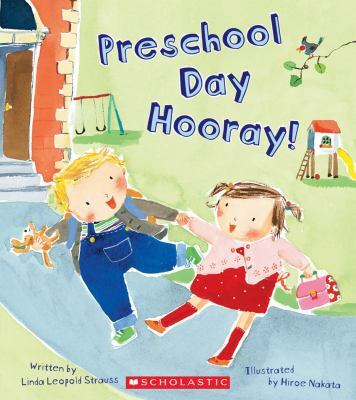 Join Maisy and all of her friends as they spend a busy day at preschool. 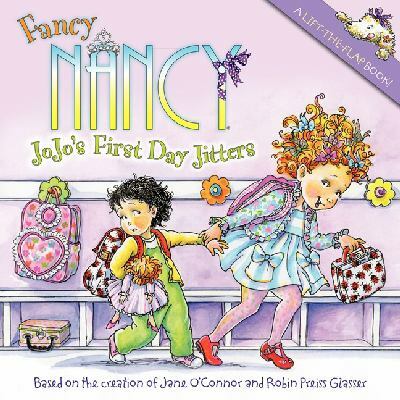 Jojo’s First Day Jitters, by Jane O’Connor. Nancy is helping her little brother, Jojo, get ready for preschool, and showing him what a difference having an experienced big sister can make. 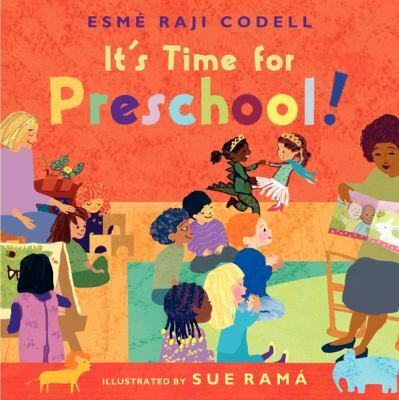 It’s Time for Preschool, by Esme Codell. The author describes thirteen areas of behavior, emotional readiness, and learning that are part of preparing for preschool and part of the preschool experience. 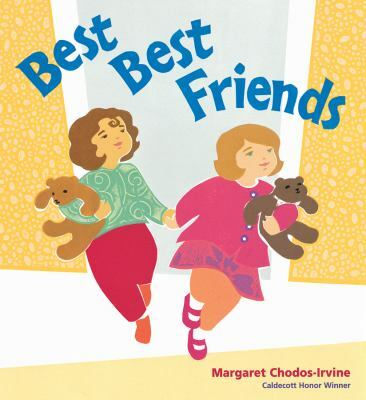 Best, Best Friends, by Margaret Chodos-Irvine. Mary and Clare do everything together at preschool. They are BFFs. However, when Mary plans a birthday party, it puts a strain on the girls’ friendship. Preschool Day, Hooray! by Linda Leopold Strauss. Rhyming text describes a typical day for a child at preschool. 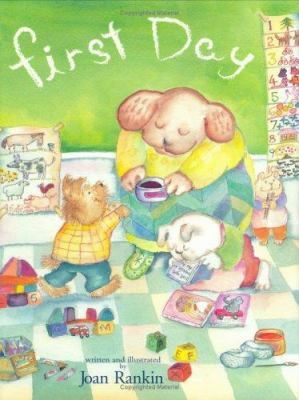 First Day, by Joan Rankin. Little Haybillybun is not the only one worried about his first day of preschool. Mom misses her little one, too. However, as she rushes to school to “save” him, she discovers that Haybillybun is having a wonderful time. Don’t Go! by Jane Breskin Zalben. Daniel overcomes his first day of school nervousness at preschool as he plays in the sandbox, collects leaves with his classmates, and bakes cookies for snack. All of these books, and others to prepare children for their preschool experience, are available at the Hoboken Library or through the BCCLS library system. This post is the second in a three part series, which complement special story times to be held at the Hoboken Public Library in August for children starting school for the first time. Click here for the first post. 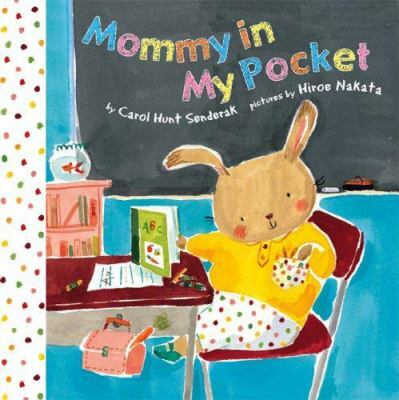 Mommy in My Pocket, by Carol Hunt Sendrak. A little girl gets anxious about leaving her mother when she starts her first day of school. 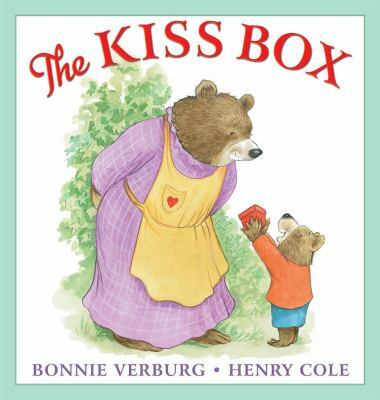 The Kiss Box, by Bonnie Verburg. Mama Bear and Little Bear prepare for a short separation by sharing a special gift. 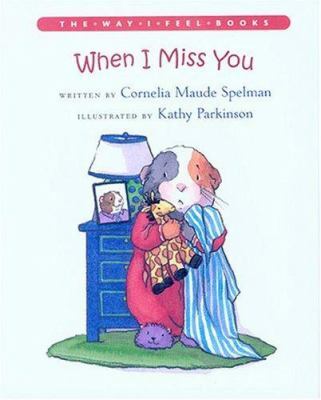 When I Miss You, by Cornelia Spelman. A young guinea pig talks about the things that make him feel better when his parents have to leave him. 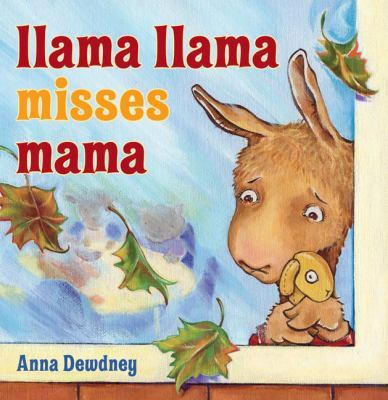 Llama Llama Misses Mama, Anna Dewdney. It is the first day of school and Llama Llama experiences separation anxiety when he has to leave Mama. 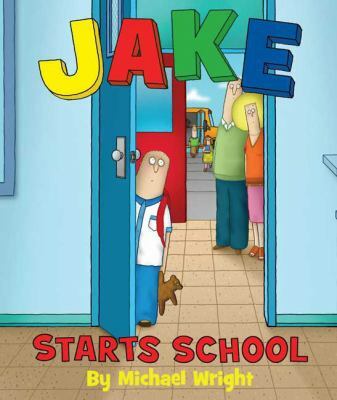 Jake Starts School, by Michael Wright. Jake clings to his parents and makes them stay with him during the entire first day of school. Meanwhile, he can only watch the fun that his classmates are having. 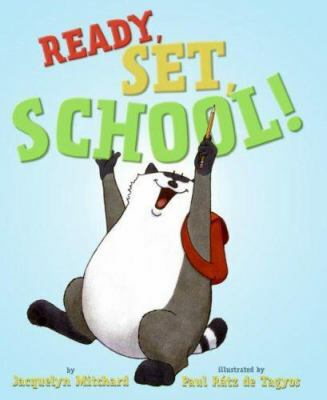 Ready, Set, School! by Jacquelyn Mitchard. Rory tackles two kinds of separation anxiety in one week: he has to stay away from home, overnight; and he starts pre-school, as well. 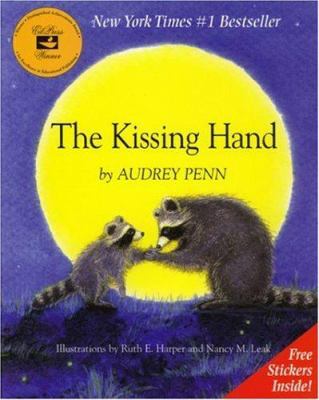 The Kissing Hand, by Audrey Penn. When Chester Raccoon doesn’t want to go to school, his mother teaches him a way to carry her love with him wherever he goes. 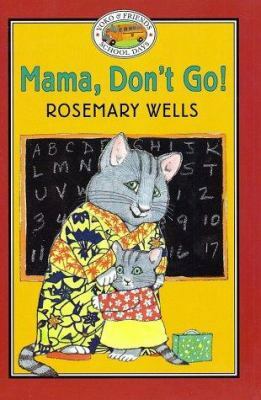 Mama Don’t Go! by Rosemary Wells. Yoko learns that “mothers always come back,” from a classmate when she is worried about being left at kindergarten. 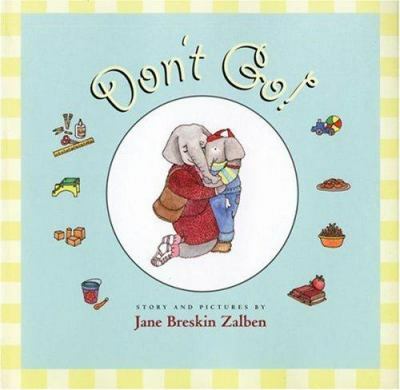 These books and others on the subject of children and separation anxiety in different circumstances are available at the Hoboken Library and through the BCCLS Library network. This post is the first in a three part series, which complement special story times to be held at the Hoboken Public Library in August for children starting school for the first time. Check back next week for the second part.